TEFC Capacitor Start & Run Motor. Motor Can With-Stand Wide Voltage Fluctuation. Fitted with Thermal Overload Protector(TOP). Available In Cl & Aluminum Body. Having expertise in manufacturing and supplying a range of motors for both mechanical and electrical purposes such as Electric Pumps, Industrial Electrical Pumps and Electric Motors that include Three Phase Electric Motors, Single Phase Electric Motors, Industrial Electric Motors & Electric Motors. We have successfully made our presence felt in the industry. 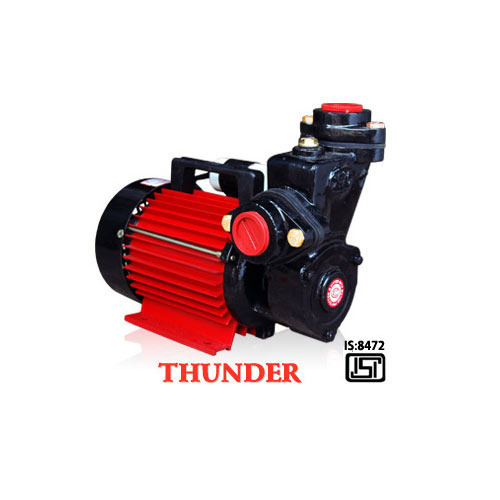 Our range includes Electric Pumps and Electric Motors. We are equipped with all latest facilities of product development. Machines installed in our production unit are highly efficient and helps us in engineering the products with precision. Our market position and finances available enables us to source the latest equipments and technology in the market. Products being offered by us are highly functional, efficient and long lasting.